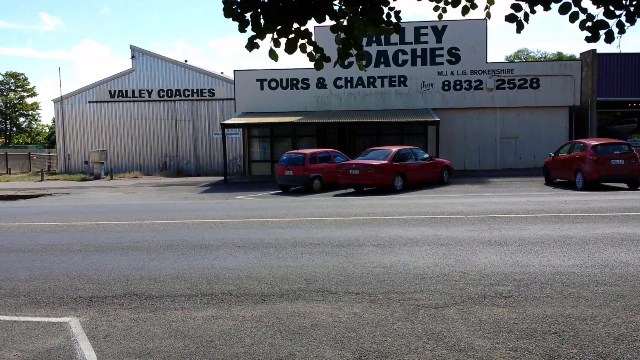 Operating from 62 Robert Street, Maitland, Yorke Peninsula, South Australia. Send an email Enquiry, check Price list for services, or the web store for downloadable software and reports. With Roy’s qualifications in building, civil engineering and structural engineering, and Conrad’s qualifications in industrial engineering, manufacturing engineering and mechanical engineering, we can offer more than simply providing calcs-for-council. More importantly if you are a builder and simply drop drawings on our desk, requesting calcs-for-council and head for the door, we will drag you back to discuss your fabrication and construction capability and willingness to use certain materials and methods. At a rough estimate some 5% of our projects involve fixing the problems caused by engineers who simply did as they were requested and provided calcs-for-council. Council approval may have been granted, but the proposal is either impractical to fabricate and/or construct, or the proposal is not compatible with other building design issues, or the builder has neither the resources or the willingness to construct as specified. Part of the problem is that most people calling themselves building designers are neither qualified designers, nor qualified drafters, and as a consequence they only produce documentation which is just good enough to get council approval. Architects and building designers are responsible for the whole building design, whilst engineers on building projects are typically specialists brought in to answer specific questions. When considering technology other than buildings, then an engineer will typically be the one responsible for the whole design. The problem with the building industry is the presence of the regulator. For the most part the regulator is not concerned with buildability: the basic assumption is that if no regulations were present then people would just go ahead and build. The purpose of the regulations is to assess whether a proposed building is suitable for purpose, not whether it can be built. On large construction projects, additional workshop details are produced to guide workshop fabrication, and additional drawings will be produced for site works. Some drawings will be for temporary construction which aids in the construction process, for example scaffolding, form work for concrete, props and bracing. Other drawings will be for site management: for example location of building supplies, location and operation of cranes. Still other drawings will monitor the progress of the project: and the current state of the building and therefore indicate the feasibility of last minute changes. For smaller projects where there is just a single person coordinating other individuals performing tasks, rather than large teams of people, then this additional documentation is not necessary. However, the whole purpose of design and documentation is to solve problems and avoid the predictable and therefore avoid the avoidable hassles. If no thought has been given to fabrication and construction when specifying the end-product, then the builder is left sorting problems out on site when they bump into them. This can cause significant delays if the solution to the problem requires additional engineering calculations and further approval from city council. If building design drawings contain the words “by engineer” on them, then can basically guarantee the building designer hasn’t read the engineers specifications because they haven’t got any engineers specifications. Can also be fairly certain that when eventually get the requested calcs-for-council, at the last minute, that little communication and coordination will take place between engineer and building designer, and that there will be an unhappy builder in the near future. The building designer, engineer and builder need to work together. Development approval is split into planning approval and building approval. Planning approval can be obtained without the need for building approval. There is little point doing detail design for a building if planning-approval to place such building on the site cannot be obtained, if land cannot be used for the intended purpose. One of the issues covered by planning approval is site works, such as storm water drainage and detention, for a business another issue would be access/egress to the site along with car parking. These things alone could make the site unsuitable. and so little point progressing with building design. Development approval more properly concerns going ahead and building: it is something which should be sought only after done all the design and reasonably certain that the proposal is buildable. After approval is granted additional drawings may be required, but those drawings will be a matter of making fabrication requirements clearer and easier to follow. For example design documents may refer to left handed and righted handed components, whilst this is acceptable short form to described what is wanted, such drawing should not be used on the workshop floor and certainly not on a construction site. Fabricators and builders shouldn’t have to do mental gymnastics with the drawings whilst fabricating and constructing. That mirror image house plan, may end up a total mess. The difference between workshop details and part details, is that the part details describe the components with out reference to manufacturing process and without reference to a specific workshop. A part detail can refer to number of items “as drawn” and number of items “handed”, but workshop details should not have such notation. The workshop drawing should show both the left handed and right handed versions, or describe the fabrication process. For example left handed and right handed sheet metal products may start with the same flat blank sheet, with left and right handed components differing only by whether a flap is folded up or folded down. Though if we were considering design for assembly (DFA) we would get rid of left and righted handed components and make as many components as possible to be interchangeable. With respect to strength design we may specify the minimum size requirements, in terms of practical and economical fabrication we are more likely to minimise the variety of component parts and make things the same where possible. For example some bolts may only need to be M12 whilst others may need to be M16, to simplify the fabrication, we are likely to make all the bolts M16. Alternatively if adoption of M16 bolts would weaken the M12 joints be removing too much material for the bolt holes, then likely to redesign the M16 joints to use M12 bolts and adopt the smaller size throughout. In other situations it may be important that the bolts are not interchangeable. In short structural design involves taking into consideration both the requirements of the end-product and the processes required to make it. We work best with owner-builders, builders and manufacturers who are concerned with their ability to build: people who actually read and use our drawings. Good design attempts to maximise the benefit from the available but otherwise limited resources.